Good morning and happy Monday! So sorry for the inadvertent radio silence last week. Last Saturday, I woke up with a cough and a sore throat and it really knocked me out! I was in bed for three days, missed work on Monday, and slowly started coming back to life the rest of the week just to be hit with an awful migraine on Friday, which put me in bed once again for a good 15 hours. Sometimes life just tells you to slow your roll regardless of what is on your calendar. I am feeling better, thankfully, but still trying to take it easy and not push myself. I haven't worked out in almost two weeks and that in and of itself gives me anxiety. Not because I feel like I'm gaining weight, but because working out is my stress reliever! Anyhoo, thanks to everyone who checked in on me to make sure I was still breathing! Tomorrow marks my FIFTH anniversary of the blog. Five years. That's a pretty long time in blog years. Truthfully, I've been thinking a lot about what I want to do with this blog. Last year was difficult in terms of scheduling and balancing my Pilates certification with my full time job plus the blog. Now that I've graduated, I had hoped that meant that I could recharge again on the blog, but that hasn't really happened. For the most part, I am only teaching two hours a week, but when I allow time for myself to work out after work, that still doesn't leave me with much more free time than I had when I was trying to get certified. For the last couple of years, I've blogged solely on the weekends because that's the only time I had strength to do it. And I'm now starting to feel like I miss having a weekend. I miss not having to worry about taking photos or sitting in this recliner for 6 hours writing my blog posts for the week. I also feel like my blog has maxed out in its growth. Yes, I still have so much more opportunity to grow, but with the time I have in my current schedule, I feel that this is as good as it's going to get. Which is great! Don't get me wrong. I never imagined anything would ever become of the blog, and I've had so many amazing opportunities and my following and readership has developed WAY more than I ever expected. But blogging takes time and its growth is directly proportional to the time and money you are willing to invest in it, and while I am willing, I am just not able to do more than I am doing right now without sacrificing another part of my life. On top of all that, I feel like I don't shop as much as I used to, which makes me feel like I don't have any new or relevant content to share with you guys. 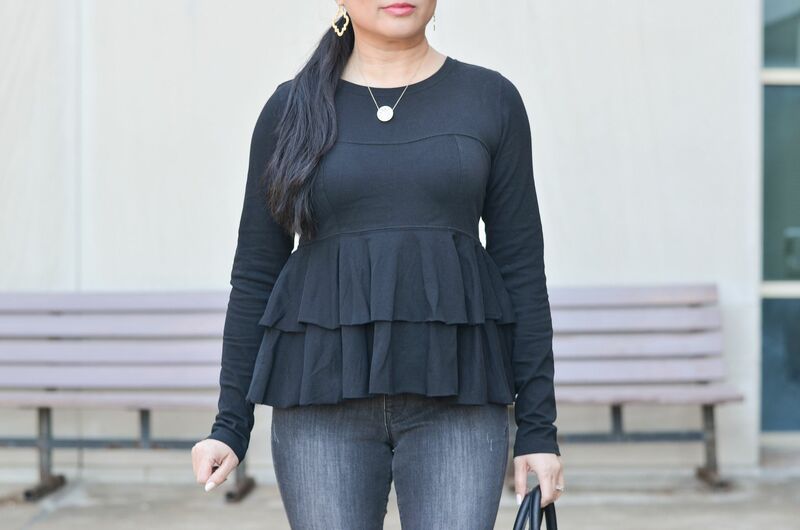 When I first started this blog, it was merely to share the outfits of the day. The actual outfits I am wearing on the actual days I am wearing them. I still take daily outfit selfies (and post them on Snapchat every morning @carylee07 in case you are interested...) but my blog is no longer a real time documentation of my outfits. That's not necessarily good or bad or better or worse. Just different that I had originally intended. It's one thing to be dressed for work or for an event, but it's another thing (and a lot of effort) to get dressed for the sole reason to take photos for the blog. Yes, I wear the outfits in real life eventually, but the fact that it's forced and that people may be interested in buying your latest purchases adds a bit more pressure than if I were to just dress up and remix things I already own in my closet. And of course, everyone talks about this Instagram algorithm. I would be lying if I said that it didn't frustrate me. You build a following on a social media platform and over time you expect that your engagement will continue to improve. 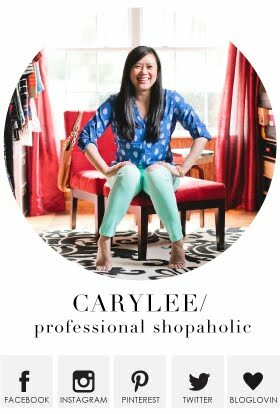 As a blogger, yes, I work with rewardStyle and can make a small commission off of purchases people make through my affiliate links. I've never really sold much on Instagram to be honest, even when my engagement was at it's peak. I've always made 80-90% of my commission on the blog. But, there's that instant gratification that comes from posting a photo on Instagram and watching the likes and comments roll in. Sadly, those likes validate this hobby and help confirm that I am providing relevant and interesting content. When that validation dwindles though, the motivation to post gets affected, too. A lot of my favorites from Instagram are no longer active, maybe as a result of the algorithm or perhaps just because of life. It's a bummer. I miss the Instagram that used to not be complicated. Photos posted in real time, in the order they were posted. Such a simple concept. I miss the simplicity. Now it's turned into strategy, which means more time or at least more thought and more effort to post, and yeah. Apparently I ain't got no time for that because it hasn't been a priority for me to post regularly there any more. Before I go on, I should say that this is not a Dear John letter. I'm not quitting blogging. At least not today. I know I would miss it, just as I always do when I've stepped away for an extended amount of time. I love sharing with you guys, I love having this space that is my own, and I do love blogging despite it's challenges and my lack of time. I just need to figure out how I can recalibrate my life to make blogging as fun for me as it used to be and not just an obligation. So. I'm not sure what that means at the moment. But I'll be thinking about it. I apologize for all of the negativity in this post - I don't mean to be. It's meant to be more introspective and these are just the honest thoughts I've been having knowing that my 5 year anniversary was around the corner. -- Make a list of the pros and cons of blogging and weigh the things I love about blogging against the things I don't love. -- I cannot shop just for the sake of having new clothes for the blog. I have a lot of clothes and am great at mixing and matching. -- Adding Pilates has been like adding a child. And the blogging industry has changed a bunch. It's only natural that I need to make some changes in response. -- I have to find my happy medium and a lot of the pressure that I have (along with other bloggers) is self imposed. Narrow my energy and let the rest go. So there you have it. This may not be the big-ballooned-anniversary post, but it's real life! And hell, five years is still five years and five years being committed to ANYthing, much less blogging is a ginormous feat and one thing I need to be proud of. And I am. SO PROUD. It's a lot of work, a lot of outfits, a lot of words, and so. Much. Time. But I've done it and I am thankful for every one of you reading this. You're the reasons why I could never quit cold turkey and it's hard to believe that anyone would think I am interesting enough to even follow along! So happy five years to me! First, happy blogaversary! So sorry to hear you've been sick, but glad you're feeling better! I was posting about Pilates about once a month last year, and I definitely still want to continue to do so because I enjoy it so much and it’s a part of me, even if my readership doesn’t engage as much with Pilates posts! I was exactly in your shoes a couple of years ago. I was teaching full time, starting a photography business, and blogging. It felt like I had 3 full time jobs. I've now retired from teaching and I have more time for blogging, but it is such a chore. You could easily do it 24/7. But then it's so hard to stop because of all the time you've already put into it. No advice, other than do what makes you happy. Yes, five years is definitely a big achievement, so happy anniversary for that! And it is always good to reevaluate why we do things to determine if we should continue on or make some changes. I love your blog and visit it weekly, as you probably already know, so I hope you continue on the blogging journey. I am always inspired by your style choices as well as your ability to juggle so many things and still look brilliant! I wish you luck in your journey wherever it leads you! But as long as you continue blogging, I will remain a loyal reader! I really appreciate your post and your honesty Carylee. I hear ya on all of your points. It will be four years for me in May and I have been also wondering where I want to go with everything. I can relate to your experience with Insta. I do love coming here and seeing what you are up to so keep us posted on what you come up with. 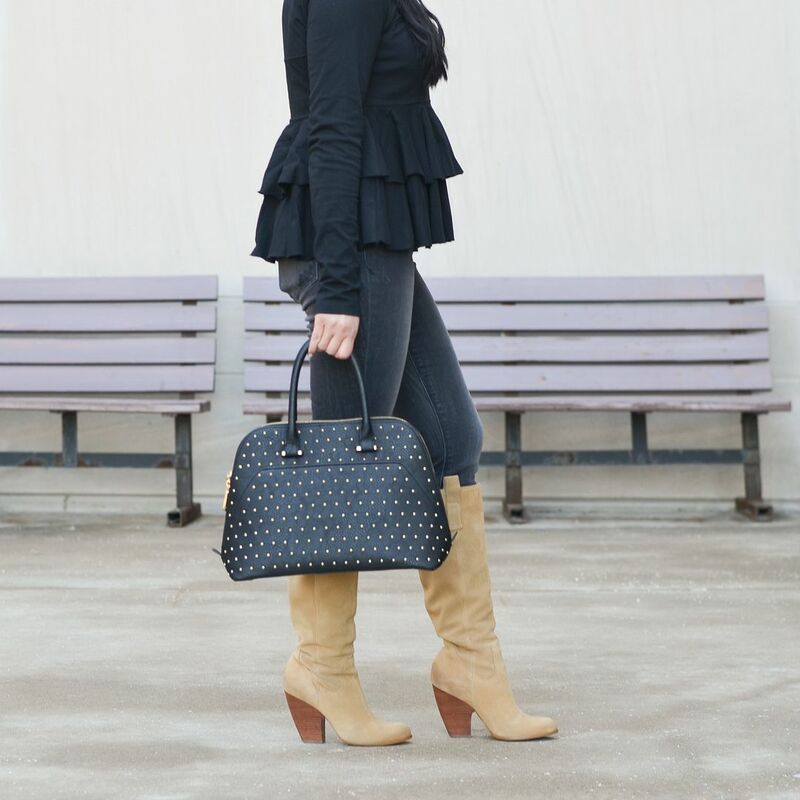 Love the boots and this cute peplum top! We ended up sharing some very similar thoughts in our posts today so hopefully you'll get a chance to read mine. Your points about growth vs. maintenance are spot on. Growth requires a LOT of time effort and yes, money at this point and it takes some mental effort to let that go and just do what works. 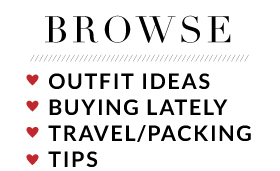 Feels like a side note to say this but outfits like this are why I love your blog. I wouldn't have thought to pair these pieces together, but I love how they look and could easily re-created with similar pieces I own, so thanks for the continued inspo! Happy anniversary, and I can totally relate Carylee. I keep reminding myself that I'm doing this because I love it and it's a great way to connect with my moms and some readers!! Besides, we all evolve over time, so it's good to reevaluate and figure it out!! Hi Carylee! I can totally relate to everything you said in this post! Anyone who thinks blogging isn't a lot of work (although it can be a lot of fun) should definitely try it! I think your blog is great and I would hate to see you stop blogging! You never know when an amazing opportunity could come along! 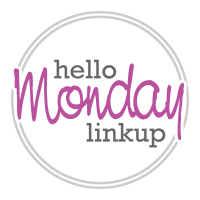 Thanks for a great and thought provoking post and thanks for the link up! Happy 5 Years! This was a great post to read because I’ve noticed on insta that you haven’t been as active on there. I haven’t either. It’s so frustrating to post on there now because of the algorithm that honestly it’s turned me off completely. I don’t want to sound negative either but blogging has changed in a way that I don’t feel like I fit in much anymore. Coming up with content is much harder than it used to be! But I still love my blog overall and that’s where I want to focus my energy. The other platforms can go away! I hope you continue to blog because I really enjoy your style and perspective! Whether your outfits are brand new or mixed from your closet, I always have found inspiration from your blog! You have awesome style! However, I know exactly how you feel, and also ask myself the same things often. I hope you find happiness in whatever you do! These boots look so stylish and comfy - I am going to have to check them out! Naturalizer is such a great brand! Aww I hope you are feeling better and Happy Blogiversary! I am a firm believer in doing things that you love, that bring you joy. If blogging doesn't make you happy anymore, you're under no obligations to continue doing it! Or, figure out a way to make it joyous to you again - take the pressure off what you're 'supposed to' be doing, and just do what feels manageable. I hope you find a solution that works for you! Happy Blogiversary! I love that you are taking a step back and re-evaluating. Rachel and Gina are smart girls and great friends to give you such great advice. This outfit though...holy cuteness! Happy blog anniversary! Sorry to hear you've been ill, hope you're feeling better now. Instagram is definitely less fun than it used to be - I'd like it to go back to chronological order too. I've missed so many posts from some of favourite accounts just because the algorhythm wants me to see more of the accounts I've recently liked/engaged with. I do hope you continue with blogging - maybe taking your foot off the gas for a while will lead to a renewed passion for it. Happy blogiversary! Your blog is one of the few that I have read consistently over the past several years- I appreciate your responsiveness- I have gotten sizing help from you on more than one occasion (and it is always spot on).